2018 is upon us with no signs of slowing down. Business owners are undoubtedly burying their heads in their well-crafted strategic operating plans. Most have been constructed with the aspiration of creating a more prosperous and healthy workplace. A recent survey conducted by the Employers Association of the North East, cited that businesses will continue to have an optimistic outlook for 2018, and are preparing for a positive year ahead. Many key objectives will focus on building a more competitive advantage, adapting to the ever-evolving digital era, enhancing their cyber security, managing crippling health care costs, and creating a safer workplace. As we move deeper into the New Year, some of the positive momentum will remain while the rest will be lost. Below, you will find key business trends that employers should not ignore, and insight on how to prepare for them. The Workplace Wellness Bubble…Will It Pop? Workplace wellness continues to grow in popularity and employers are investing great amounts of time and money with hopes of seeing great return. Adoption rates of workplace wellness programming have been reported as high as 75% 2 and the market has responded to the demand. The wellness industry has soared to billions in profits and has been expected to grow. However, over the last several years, wellness critics continue to surface and refute the reported high return on investment with the traditional wellness programming. Their voices are reverberating and it may be time to take a listen. Traditional wellness programs will see a shift in 2018 and if employers want to truly create a healthy workplace, here are some key points to consider. Wellness is moving toward wellbeing and for good reason. Traditional programs have focused on biomedical risk factors and is founded in outdated beliefs. This approach has created an unhealthy culture making employees feel like they are being poked, prodded and punished for not meeting specific health criteria. With much resistance from wellness vendors, the adoption of focusing on total wellbeing is redefining what a healthy workplace looks like. 2018 and beyond will prove to focus on creating environments that inspire and engage employees to be their best at work. Keep an eye out for strategies that focus on developing greater purpose, increasing morale, productivity, and engagement. 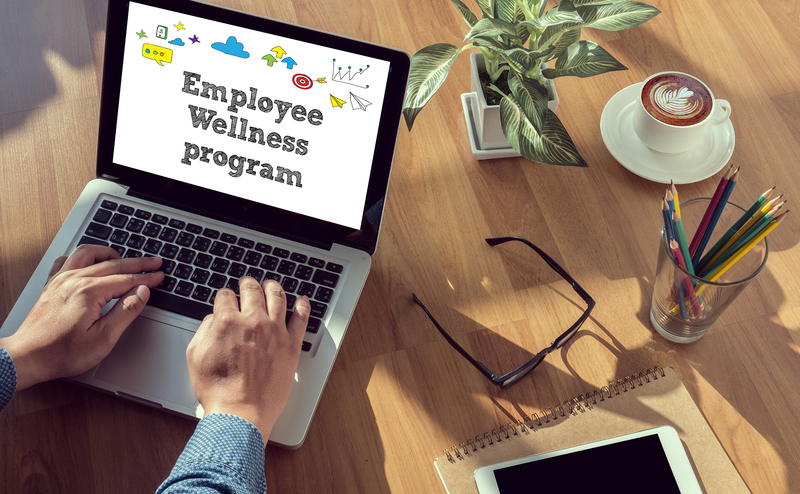 The EEOC has recently been charged with rewriting the rules on what it means to offer a “voluntary” wellness program. Current rules violate the American with Disabilities Act and Genetic Information Nondiscrimination Act. This ruling is expected to have implications on how employers are establishing incentive based programming. Starting in 2019, employers will be required to meet the newly established guidelines 1. This could dramatically influence how employees react and engage toward current wellness offerings. Organization wellbeing has great influence on employee wellbeing. Patrick Lenconi3 illustrates it best by stating that “the impact organizational health has on individual wellbeing is clear.” He states that leaders and organizations need to focus on becoming healthier. Supporting research conducted by Jeffrey Pfeffer4 concluded that unhealthy workplaces can cause up to 125,000 employee deaths each year and up $130 billion in excess annual company costs. In brief, he states many traditional wellness programs that focus on diet, exercise, and tobacco cessation are a result of the environment employees work in. “If you work people to death, of course they are going to smoke more, drink more and eat worse.” In 2018, employers should be looking for models that support transformational leadership and comprehensive strategies that develop leaders to support thriving workplace culture. Business owners cannot ignore that the workforce is comprised of more employees between the ages of fifty to sixty than ever before. This influx has given name to what experts are calling the “silver tsunami” and it is important to recognize the implications that may arise from the shift in workforce demographics. It is also suggested that with an aging workforce population, it has become increasingly evident that people are not prepared for retirement and therefore must work longer. Employers are experiencing legacy cost of non-retirement readiness. From the cost of living, to credit card debt, to how to make the next mortgage payment, employees are losing sleep with their worries about money, and an uptick in the percentage of employers offering financial education and literacy programs is expected to rise5. Reams of financial resource articles continue to suggest that employees are overwhelmed with stress associated with financial hardship. Employers are afflicted by said stress pirating their emotional capacity to perform work related duties. Even workers who aren’t stressed about their personal financial situations can benefit from financial education in the workplace that helps them teach their children and grandchildren about money matters. It is critical that we are able to properly communicate how employee’s engagement in their financial future is the most important component of the somewhat perilous journey to retirement. Financial Literacy: particularly as it relates to financial wellbeing should be the responsibility of every employer. Many employers are ignorant toward the fiduciary responsibilities associated with managing their 401k plans. The advent of the federal court ruling Tibble v. Edison International, cemented plan sponsor expectations with respect to ongoing fiduciary responsibilities. Employers that choose to not outsource their fiduciary duties increase their risk in liability. There are huge burdens for all parties involved in a qualified plan, from the day to day administration to the year-end testing. Quite often, these responsibilities have taken a back seat to the “other” duties that many plan sponsors have. A plan can feel onerous and overwhelming to someone with little or no history of plan administration. By structuring a plan that offloads the responsibilities of the plan to an expert, the once burdensome task of managing a plan can be exceptionally more rewarding, by allowing the plan sponsor and administrator the ability to focus on the tasks of the job they were hired to do. The qualified plan can go back to the employee benefit it was intended to be, by hiring specialists to handle all of the issues that once made the plan burdensome. Managing a successful business can require the adoption of many strategic initiatives. Focusing on creating an environment that fosters organizational and employee wellbeing should never be ignored as a key business plan. Employees that feel valued, inspired to be at their best and have resources and tools to be more resilient in managing financial stress will prove to be a critical link toward a thriving workforce. This information was developed as a general guide to educate plan sponsors, but is not intended as authoritative guidance or tax or legal advice. Each plan has unique requirements, and you should consult your attorney or tax advisor for guidance on your specific situation. In no way does advisor assure that, by using the information provided, plan sponsor will be in compliance with ERISA regulations. Securities offered through LPL financial, Member FINRA/SIPC. Investment advice offered through Crey Keitzer, a registered investment advisor and separate entity from LPL financial. What about Brain Health and Brain Readiness! Our brain is the command center for all that we can, have and will become. Yet it receives so little conscious attention in our every day actions and thoughts. That is until it is often too late to reverse severely eroded brain health and mental wellness. Our company, RC21X, and our close affiliates, the American Mental Wellness Association, Occupational Athletics, and The Brain Health Center, recognize the urgent need for wellness programming that also focuses on these two areas of overall wellness—Brain Health and Mental Welless. We are Pittsburgh and Pennsylvania based companies and would like to offer our services and resources to your organization and clients. Additionally, we conduct a Brain Health Challenge Program in schools which Babb, Inc. may find some interest in supporting. Your Lincoln Learning commercial sparked my interest. They are doing wonderful things educationally for kids. Perhaps Babb, Inc. might wish to explore participating somehow in supporting a Brain Health Challenge event. After all, the Brain Health and Mental Wellness of our children is the most vital key to a securing a successful future for us all. Thanks in advance for your time and careful consideration.